Former Speaker of the House Newt Gingrich on Rep. Kevin McCarthy’s bid to be Speaker of the House and the key issues facing Congress. Days after John Boehner announced his resignation, House Majority Leader Kevin McCarthy reported that he will run for Speaker. 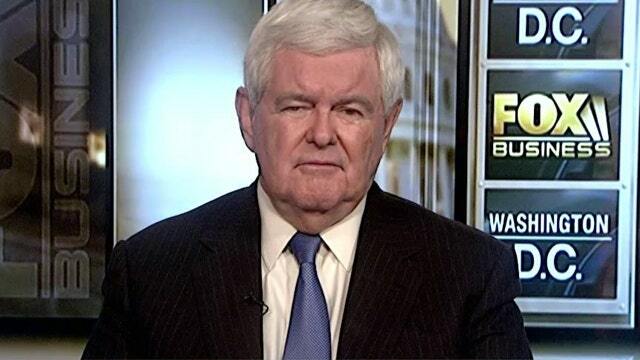 Gingrich believes McCarthy could represent a new generation of leadership in the government. “I think his emphasis on generational change is healthy. People need a new generation of leadership. You see that in all the polls and you also see that in a sense in the fact that the outsiders are the ones who are leading for the Republican nomination,” he said. Gingrich said McCarthy has the ability to get more members of the House to play significant role in public policy. “I think one of the things that Kevin’s going to bring to the job is a real belief in having the whole team play. And you’re going to see a lot of things being done [to] get a lot more members engaged. John Boehner had led that in direction, for example, with the Benghazi Special Committee which was really the key to Hillary’s email’s coming up,” he said. He also discussed his views on the 2016 presidential race. “The candidates of change have an enormous advantage… What the country is telling is, they are so fed up with business as usual, they are so fed up with politics as usual, they are so fed up with somebody that tells them that thousands of emails later she is not really quite sure exactly what happened but she knows it wasn’t her fault,” he said.